Your New Challenge for May! Okay ladies, it’s a new month and therefore time for a new challenge. 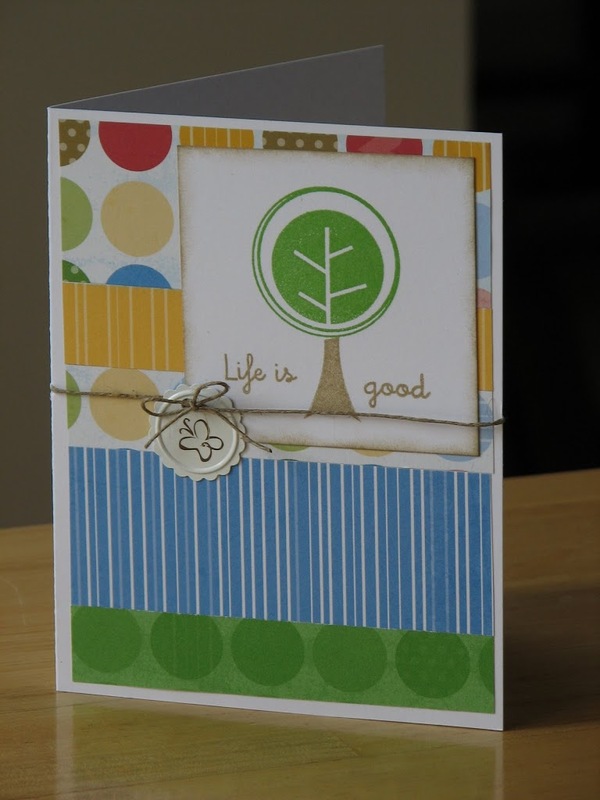 I just love the new tree stamp sets in the Summer Idea Book. They are so cute and completely on trend. So to celebrate the arrival of spring, finally, when our trees are now budding, your challenge is to create artwork with trees on it somewhere. It can be a stamped image, or made out of paper, or even in the shape of a tree. Wow me with your work and I’ll award the most creative with a prize! You’ll have to see who wins to find out what great little gift she gets. You can either post a comment here with a link to your artwork or email me a photo of your entry at simplycreating@ritskes.net. To get you thinking about this challenge here’s a peek at one of those new tree stamp sets and the Animal Cookies paper pack. I cannot wait to get that stamp set…hoping to see my boyfriend in the big brown truck this week! I love your card, super duper cute!! OK Krista here is my (not that great) tree effort! I also gave you a well deserved shout out on my blog. You do some great work. Hey Krista!! I found you over @ Sarah’s paper tray. I love your challenge idea! I will get something made tonight and take a pic tomorrow! !